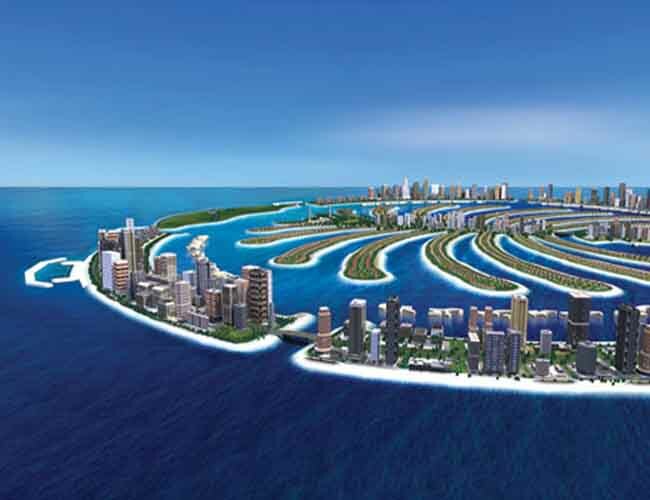 Palm Jebel Ali is the second island in the Palm Triology that is been located in Dubai Waterfront. It was constructed with a vision in mind by Nakheel Developers that it will be incomparable living for residents and visitors. It will comprise of mixed development such as luxury hotels, beachside villas, shoreline apartments, dive sites, variety of entertainment and leisure activities and water homes built on stilt. The Palm Jebel Ali has built a spectacular shoreline entrance of superlative golf courses and luxury desert resort with a graceful bridge linking the mainland to the island. It is located at Jebel Ali and is a mixed use project of commercial, retail, residential and hospitality offerings.